When considering the strategies for the new version of L5R, I went back to an older game which clearly was an inspiration, A Game of Thrones LCG. The Game of Thrones LCG also has multiple types of conflicts (challenges) which have different effects. Each character has a strength value and has icons indicating the challenges they can participate in and the effect of each challenge type is fixed. Military challenges remove characters. The defending player gets to pick the target(s). This is used to get control over the board. This is similar to the void ring. The Intrigue challenge discards cards from your opponent’s hand. Some have suggested this is a good opening challenge as your opponent either plays cards to defend or loses cards that could be important in your next more important challenge. This is similar to the earth ring. The last challenge effect from AGOT is the Power challenge. The goal of the AGOT is to hit 15 power in total, so this ability is similar to the air ring where you get closer to a 25 honor victory or push your opponent closer to a 0 honor loss. Typically the relative importance of each type of challenge depends on the phase of the game (for more see here). At the start of the game removing a character through the military effect will the most valuable. With few characters on the board, the decision over which to remove will be harder. It is also possible to lock the other player out of challenges by reducing the characters they have. As the game progresses the importance of the intrigue effect increases as the hand size is less but there are still some good cards left to play. At the end of the game, both intrigue and military are eclipsed by power as victory is in sight and players burst to the end. 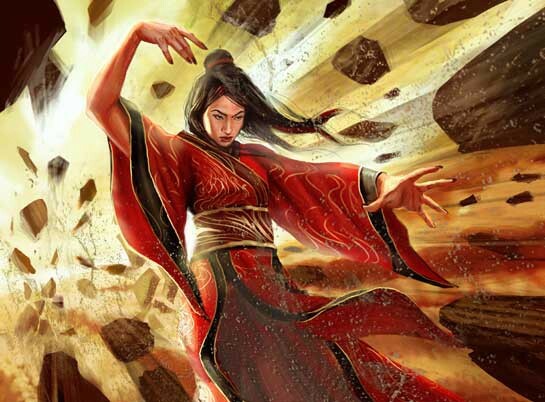 While L5R’s conflict system does have similarities to the AGOT challenge system, there are big differences. 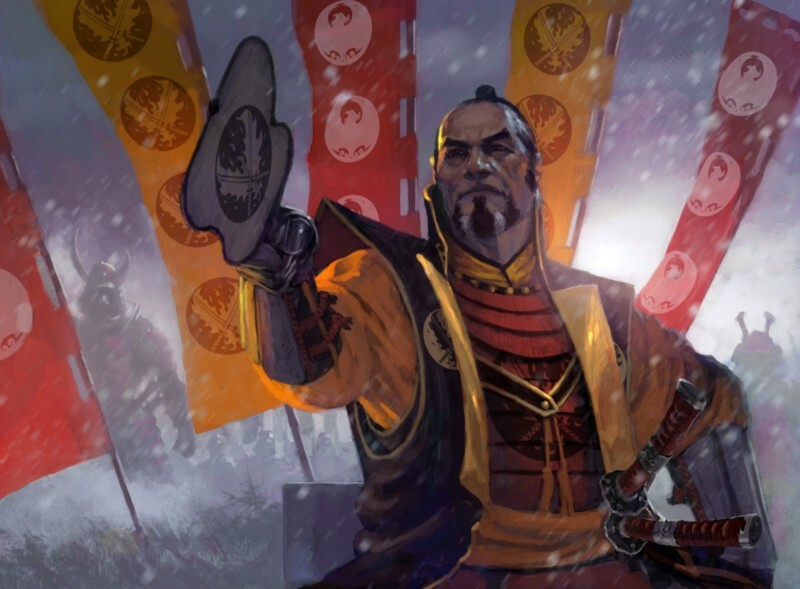 Conflicts in L5R are either military or political and the effect is separate. This means a character’s effectiveness in a conflict is not linked to the result. This opens up options. On the other hand, unlike in AGOT, you are competing for effects. Rings already selected are no longer available. To know which ring to select, you need to understand the current game state, your opponents ultimate goal, and your own path to victory. Take one honor from your opponent or gain two honor from the token pool. Using the air ring, a player can push their own honor total towards 25 or reduce their opponents towards 0. A deck not interested in honor (by reaching 25 or having their opponent reach 0)can choose to reduce their opponents honor to slow them down or to gain honor take themselves further from 0. In a game where both sides are focusing on an offensive victory this ring will be of less importance and will only be relevant when card effects such as the Steadfast Bushi require a player to have higher or lower honor. As such, the importance of this ring can be said to be game dependent. Unlike AGOT where all games are decided with power, honor is only significant when at least one player is attempting to win with it. The relative importance of honor increases the closer a player gets to 0 or 25. Although winning the ring of air and going from 10 to 12 honor is the same effect as going from 22 to 24 it is far more likely to be contested. Honour is linked to card draw through the use of the bidding mechanic during the draw phase. 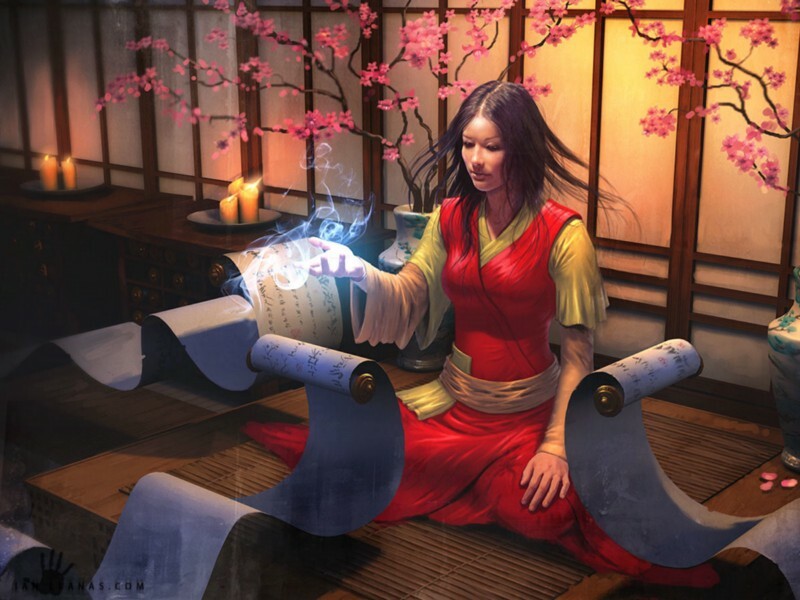 A deck attempting to win by honor will typically draw only one card during the draw phase. In contrast, a deck looking to win primarily through breaking provinces will draw 5 cards as often as possible during the draw phase. When two such decks face against each other they pose a dilemma, the aggressive deck must keep its honor above 0 while the honor deck needs to draw enough cards to stop the aggressive deck from destroying the province under their stronghold. Draw one card from your conflict deck and discard one random card from your opponent’s hand. While honor and card draw are linked, card draw will matter in every game. A card played will impact the board and contribute towards winning conflicts. 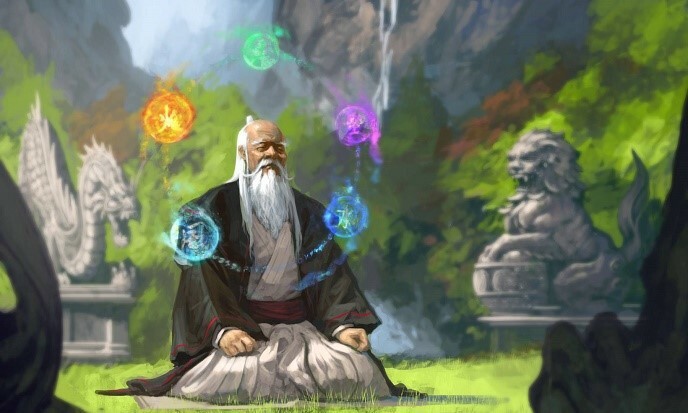 As an honor deck is limiting the number of cards it draws during the draw phase to maximise honor, effects such as the ring of earth which draw cards are more valuable. From the card pool, we have seen so far, a card could broadly be judged to be a 2 skill boost (this is a gross simplification). Entering into a battle down 4 skill with 4 cards while your opponent has none could convincingly turn that battle around. The effect of the Ring of earth then could be seen to be a 4 force shift for the next conflict. This does raise the question of how worthwhile winning the ring of earth really is. If your opponent needs to play three conflict cards to win an earth conflict, they have essentially lost as the cost was greater than the benefit. Choose a character in play and honor or dishonor that character. The honored and dishonored statuses have two effects, the glory stat becomes a bonus or penalty to the character’s skills and when the character leaves play 1 point of honor is gained or lost respectively. Choosing a character with a high glory stat will maximise the skill bonus or penalty. Selecting a character with a lot of fate will make sure the skill modification has a greater impact on the overall game as the character will stay in play longer. Selecting a character with minimal fate will make sure the honor gain or loss happens sooner rather than later. A 2 skill bonus from a 2 glory character being honored would be a similar effect to that of a card such as Fine Katana. Choose a character and ready it or choose a character with no fate and bow it. Using the water ring requires a little more finesse than the others. During the first conflict, it is unlikely any characters will be bowed, so the water ring can only target characters with no fate. If your opponent attacks with the water ring when you have one character with no fate, then you might as well defend with that character or you risk them being bowed. If you are not the active player and your opponent attacks with a non-fire ring, then you would be able to defend and then attack with water to unbow your character for another defense or a final attack. These potential examples suggest the ring of water will be of the most benefit to those clans able to win conflicts in either military or political. Similar to the earth ring, the benefits of the ring of water must be weighed against the cost. If you assign two characters to win a water conflict, you are down a character. If no province is broken, then the character targetted by the ring effect should be more powerful than the characters bowed by the conflict to gain it. Choose a character and remove one fate from it. Removing a fate from a character is an investment in the future. It has minimal effect on the current turn but depending on the target could swing a later turn. As more powerful characters will typically have a greater investment in fate it can force a difficult choice of having to decide between removing a weaker character earlier versus a more powerful character later. It can be used to accelerate the honor change of the honored and dishonored status, pushing it through a turn earlier. It can also be used as a prelude to the water ring, removing the last fate from a target character to make them vulnerable to a later win with the ring of water. This would, of course, require the owner of the character to not defend with them for two attacks and to not use them during their own attack, so actual benefits may be limited. Each of the ring effects are quite minor. Often winning battles purely to win a ring is not resource efficient. Similarly defending against such attacks may cost you more resources than the attacker would gain from winning the ring. It is also notable that winning on the defense does not provide any ring benefits. As such, the ring effects can be seen as an incentive to attack rather than defend. This leads to two approaches when attacking. b) Attack to take provinces. Here the goal is to destroy provinces, and the ring is considered a secondary benefit rather than a primary motivation. Attacks have larger investments in characters and conflict cards as they are 25% of the way towards final victory. Similarly, when defending the goal should be to invest as few resources as possible and to force your opponent to invest as many as possible. This can be tricky as the attacker wins ties. It does provide opportunities for abilities to be used which can force your opponent to play cards. Defending with a Brash samurai, for instance, gives an opportunity to honor the character, forcing your opponent to respond. If the end effect is the attacker wins the ring of fire often dishonoring the Brash samurai will be the best option, in this case, the character’s ability neutralizes the rings benefit. A considerable danger when choosing to defend is in assessing whether a province will be broken. Even a zero military skill Eager scout could be the target of a Banzai and destroy a four strength province. This is a big difference from the AGOT game where the only effect was the challenge effect. In addition, although we have yet to see confirmation there is a feeling that there will be a penalty for not defending. With AGOT an undefended challenge will gain a power, similarly (following a comment from the FFG livestream) we believe not defending will mean losing a point of honor. Due to this, having a ‘chump’ blocker can be a good idea. If your opponent does take actions which will break a province you can respond. As with honor, it is only the last point or province that counts. Losing 3 provinces and having your opponent at 24 honor doesn’t matter if you’ve just won the game. In this way, provinces can be considered something that can be sacrificed. 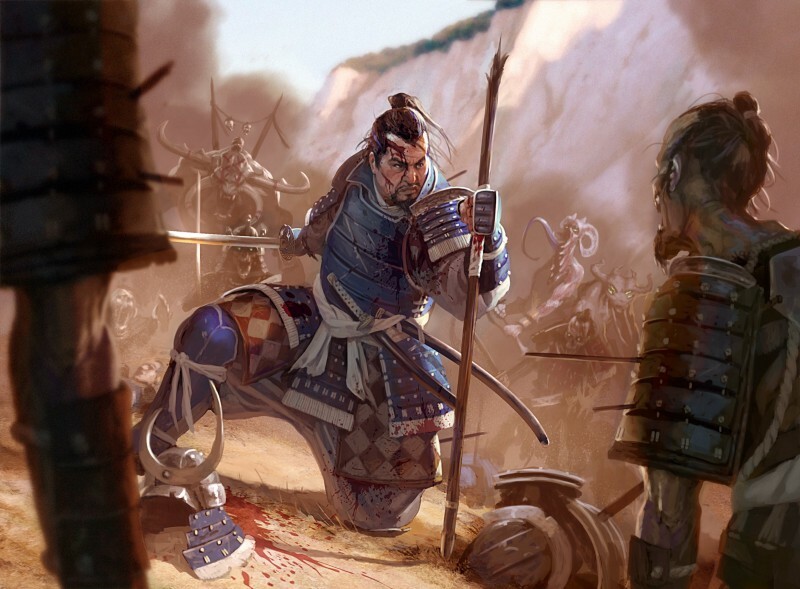 Unlike the old version of L5R, the penalty for losing a province is minimal. I’ve focused a lot on what the benefit from a ring is worth. They are relatively minor and the investment in resources to get the benefit must be factored in. Assuming we are attacking, what ring should we choose? Select the ring with the most fate. Fate is a limited resource and any opportunity to get more is good. Choose air if you are planning to win by hitting 25 honor or by bringing your opponent to 0 honor. Choose earth if you or your opponent are low on cards, this is especially useful if you have additional card discard such as spies at court. Choose fire if you or your opponent have a character with 2 or more glory. For honor focused decks this is normally second to the ring of air but could be preferable to improve board state in addition to honor gain. You will get more benefit if you honor or dishonor a character due to participate in a later conflict this turn. Choose water if you have a bowed character you wish to later use or your opponent has an unbowed character with 0 void which you want to force into this conflict (or else be bowed). Typically poor as the first or last conflict, although can be useful as the first conflict if you already have a character bowed or as the last conflict if you wish to get the imperial favor. Choose void when your opponent has a powerful character on the board. It won’t help this turn, but will help later turns. Choose the ring your opponent would like the most to deny them the opportunity. Often there will be a few viable ring options. Keep in mind the costs to win a conflict and whether that cost is worth the benefit. Evaluate your opponents options and consider if taking the ring they most benefit from is better for you overall. Is defending more important this turn than attacking? So far, it seems L5R is a game full of choices and decisions for the players. Ultimately, it will require play and experience to know the best choice for any particular moment. If you have any comments or feedback please post them below!